Last month while buying Hanukkah gifts for my niece and nephew I happened upon the item below. 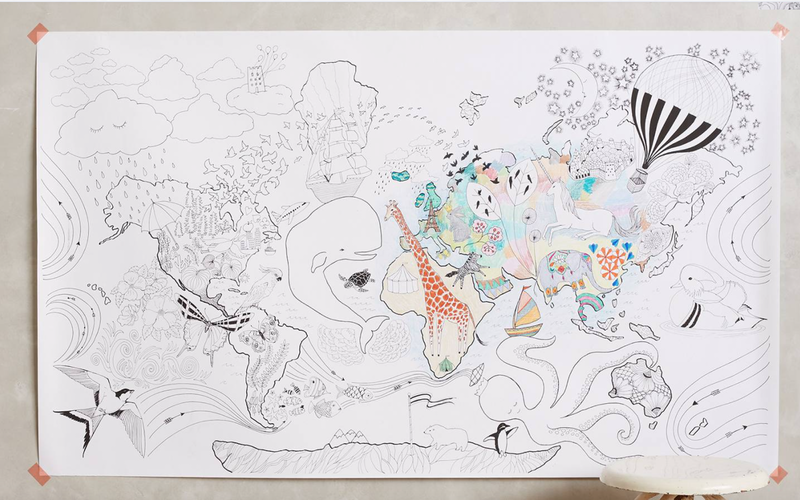 What you're looking at is a "coloring mural" from our friends at Anthropologie. It was marked down to $29.95 from $48. 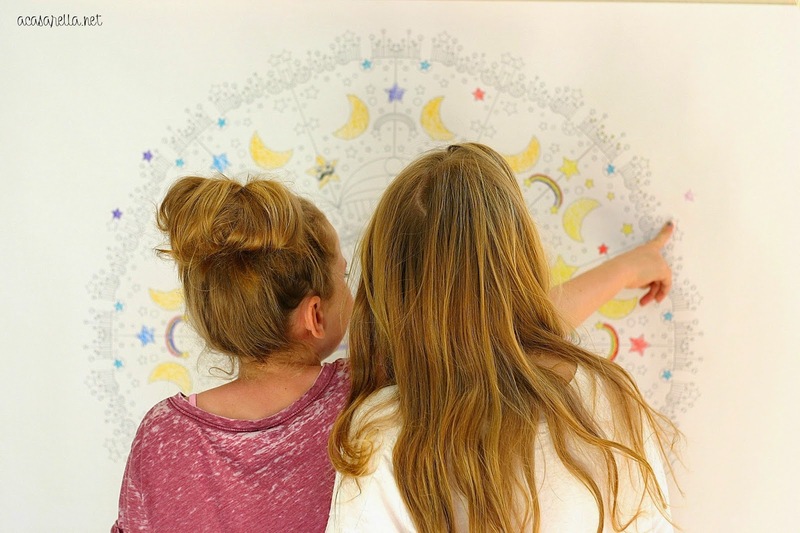 Now my niece and nephew love to color, and when I realized that the gift could be for both of them, I was able to justify the price. And I'm really glad I did, too, because as you can see from the text below, the mural was a "big hit!!" Though I was thrilled with the response, I couldn't help thinking that one could probably have a similar experience for far less money. Then I remembered one of my favorite crafting secrets: The engineering print from Staples! For between $2.00 and $8.00 Staples will print huge black and white prints of almost anything. 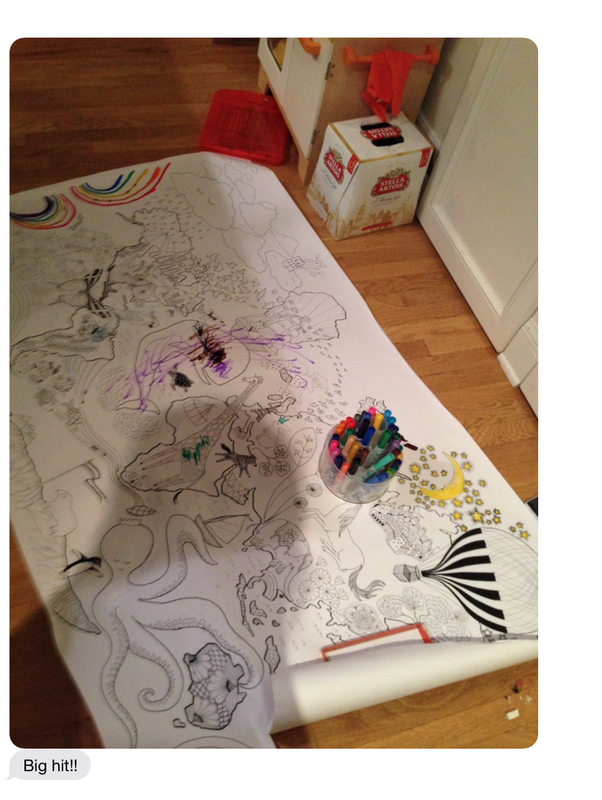 So I hopped on Google to look for free coloring pages that might appeal to my daughters. 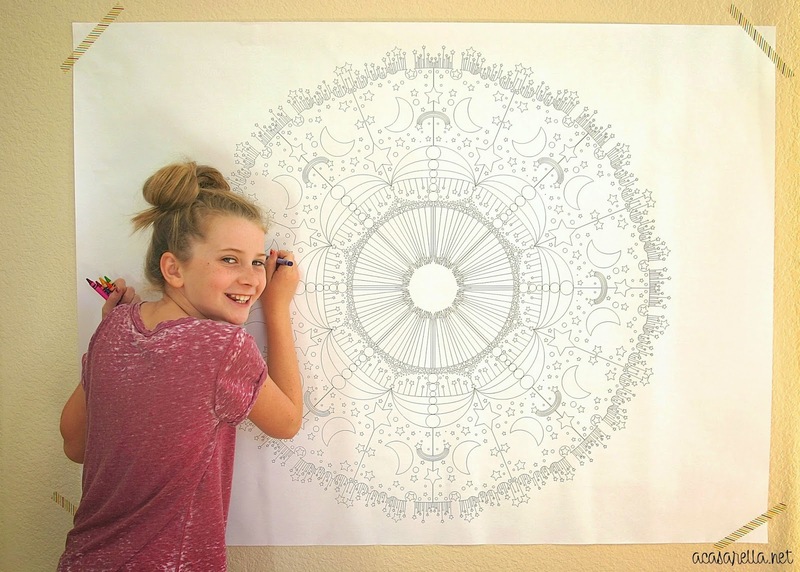 I decided on this cool Mandala print from coloringcastle.com. I taped it up on the wall with some Washi tape and my younger daughter went to town. As you can see, she really enjoyed herself! 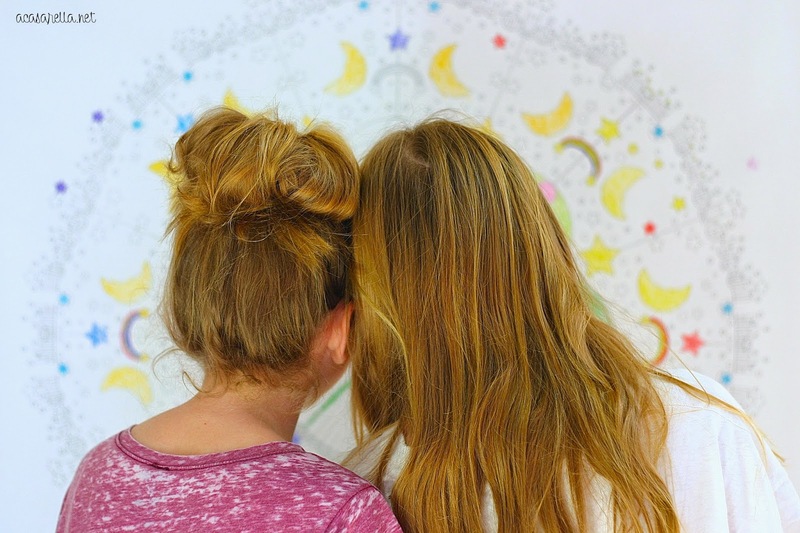 Even her thirteen year old sister got lured into the action. I'm actually thinking about whipping up some more. The best part is that you can send Staples your file electronically and they'll email you when it's ready for pick up. (Just follow THIS LINK.) I made a few so I have them on hand in case of a boredom emergency. I can think of so many great uses for these. Rainy day? 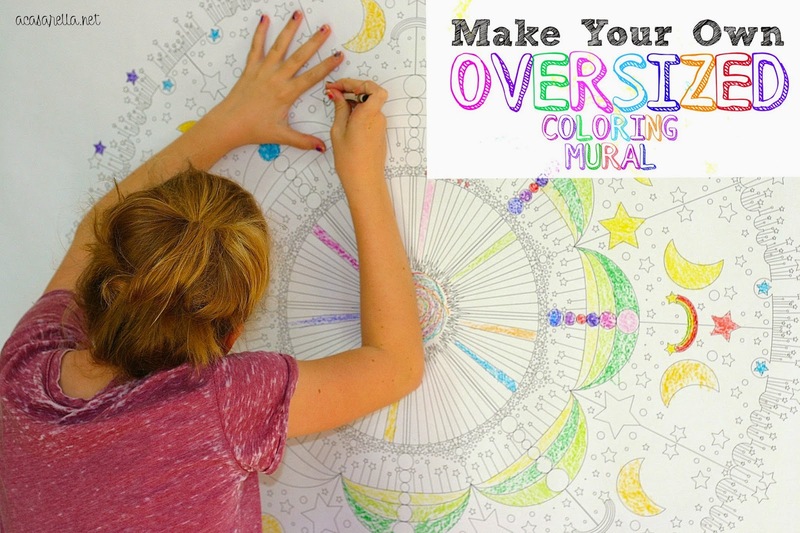 Color a giant mural! Stalled playdate? 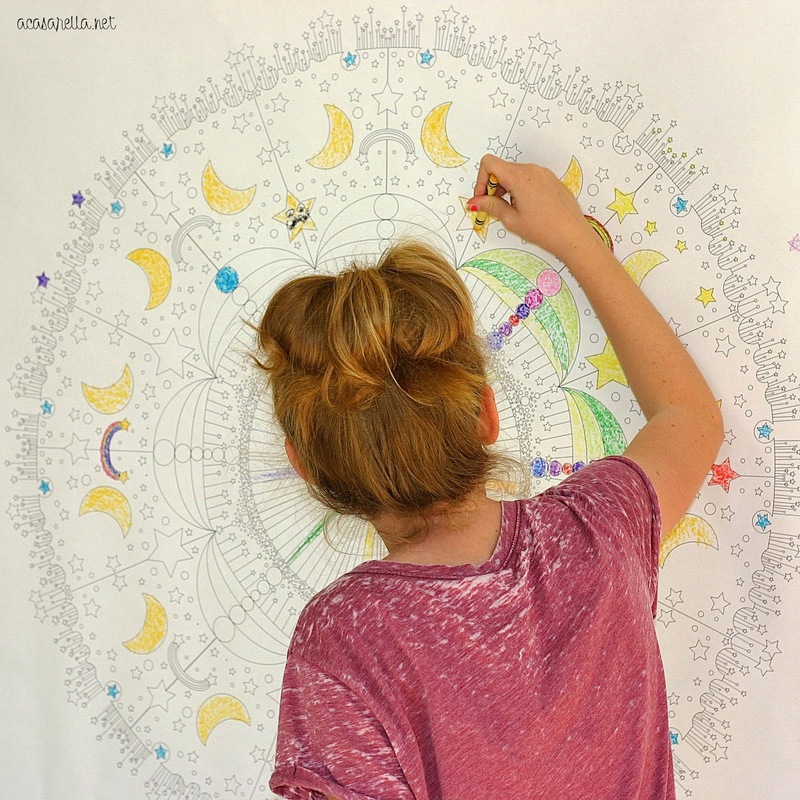 Bring out the giant mural! Birthday party? 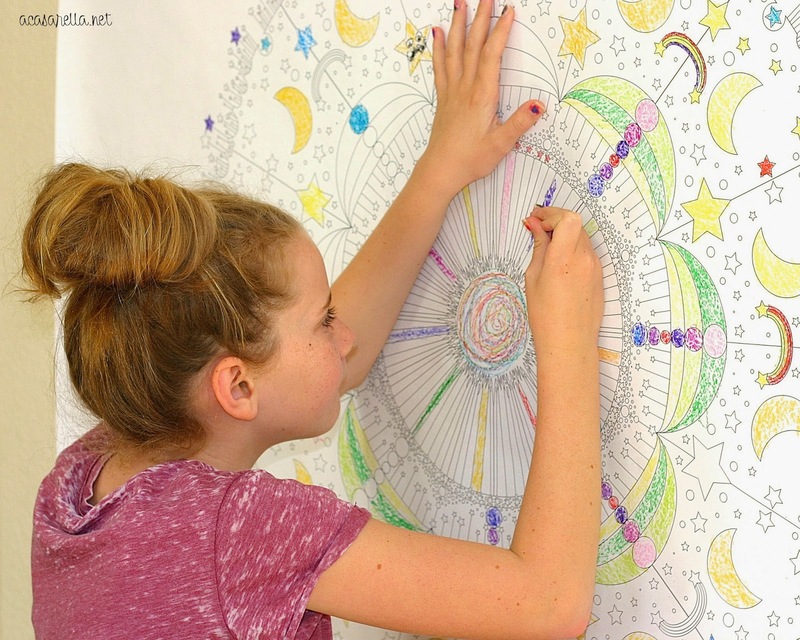 Have the kids color a giant mural! Last minute gift? 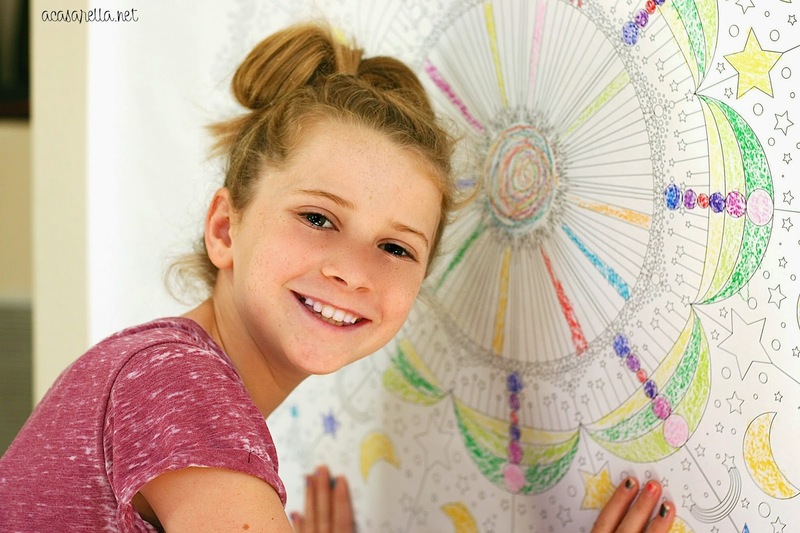 Make a coloring mural, pair it with some markers or crayons, and you have a great custom gift for under $10. Want to add a suggestion? Feel free to leave it in the comments below. That is BRILLIANT. What a great idea. Love the pattern you found. 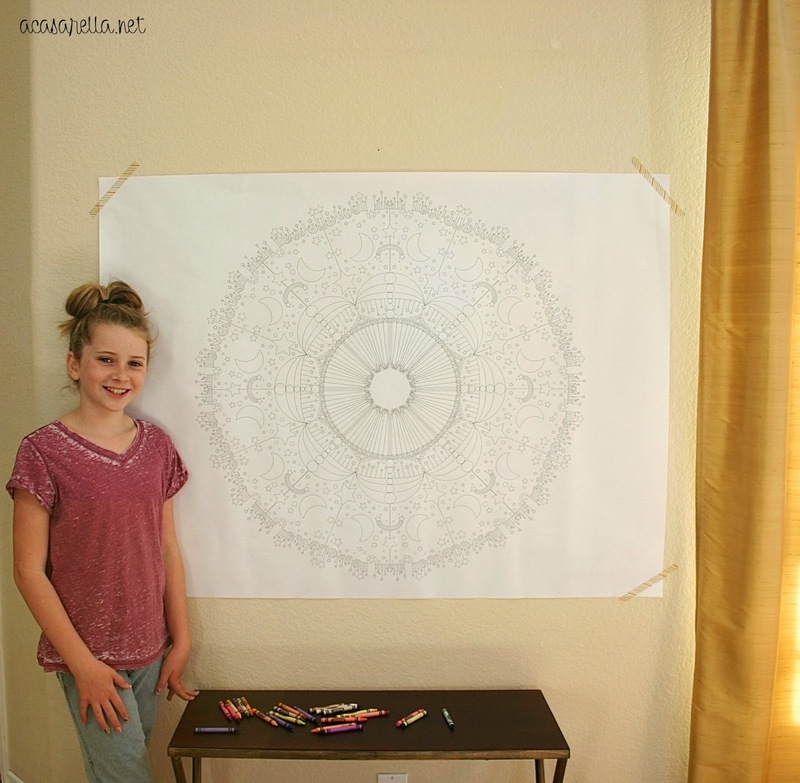 Love the pattern you got! I didn't know I could get it at Staples, thanks for sharing! 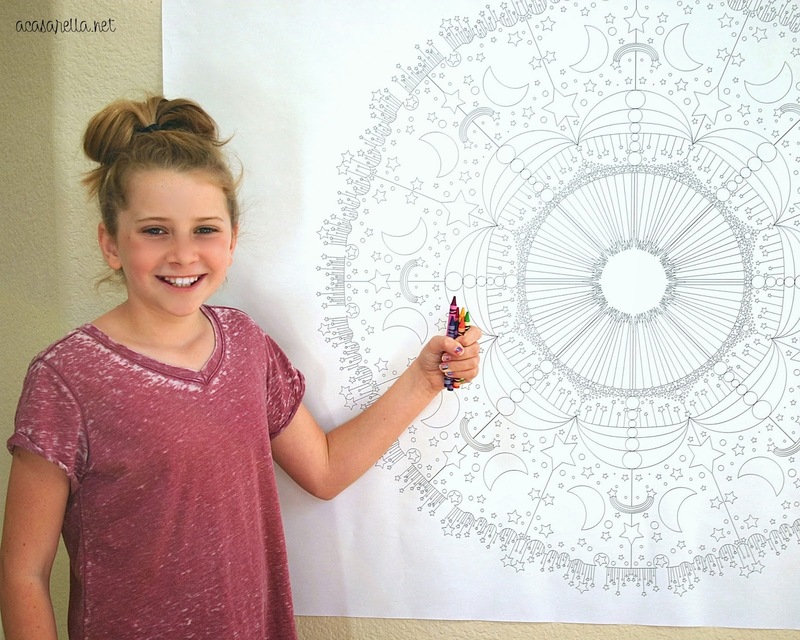 Do you happen to remember where you found the coloring page for your niece and nephew? It would be perfect for my son..and I think it's the perfect post-surgery pick me up he needs. Thanks! 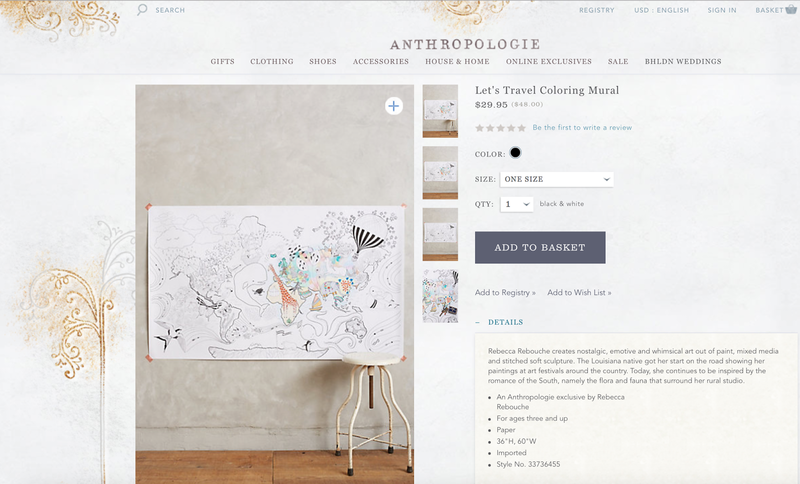 The one I bought was from Anthropologie but I believe it was a special item they had out for the holidays last year. Definitely check their site, though! This is a fantastic idea. Thank you for sharing it.